The crown comprises an openwork silver frame set with 1,187 brilliant-cut and rose-cut diamonds in open-backed collet mounts. The band is formed with a frieze of lozenges and ovals in oval apertures, between two rows of single diamonds, supporting four crosses-pattée and four fleurs-de-lis, with four half-arches above, surmounted by a monde and a further cross-pattée. 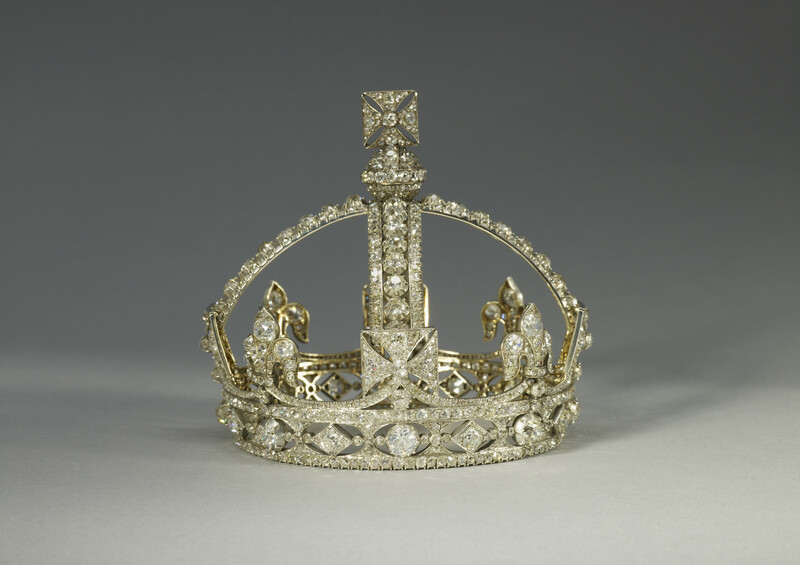 The crown was designed to be worn by Queen Victoria on top of her widow's cap. The priorities in creating the design were lightness and comfort and the crown may have been based on Queen Charlotte's nuptial crown which had been returned to Hanover earlier in the reign. Queen Victoria wore this crown for the first time at the opening of Parliament on 9 February 1871, and frequently used it after that date for State occasions, and for receiving guests at formal Drawing-rooms. It was also her choice for many of the portraits of her later reign, sometimes worn without the arches. By the time of her death, the small crown had become so closely associated with the image of the Queen, that it was placed on her coffin at Osborne. After Queen Victoria's death, the crown was worn by Queen Alexandra who passed it to her daughter-in-law, Queen Mary; the latter seems to have never worn it. In 1937, King George VI added it to the regalia at the Tower of London, although it has never been used at a coronation ceremony. 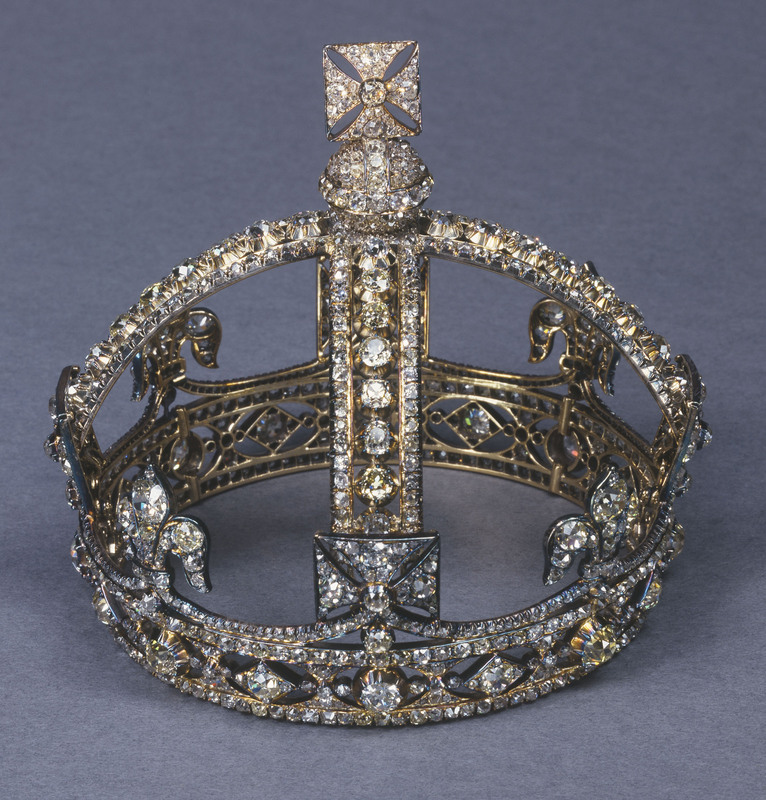 Made for Queen Victoria in 1870 by the Crown Jewellers, R.S. Garrard & Co.